A blend of the two Nikka single malts, Taketsuru combines the strong character of Yoichi with the elegance & precision of Miyagikyo. Both masculine and feminine, traditional and innovative, this outstanding pure malt is a worthy tribute to Masataka Taketsuru, the father of Japanese whisky and founder of Nikka. 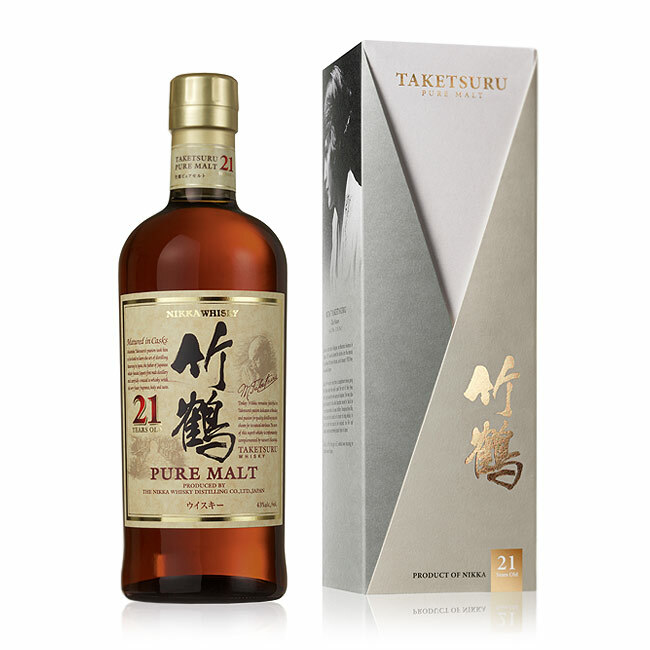 Selected as world’s best blended malt four times, the Taketsuru 21 is quite simply one of the great whiskies of our times. Straight or on the rocks. Enjoy this complex malt on its own or with a cigare.